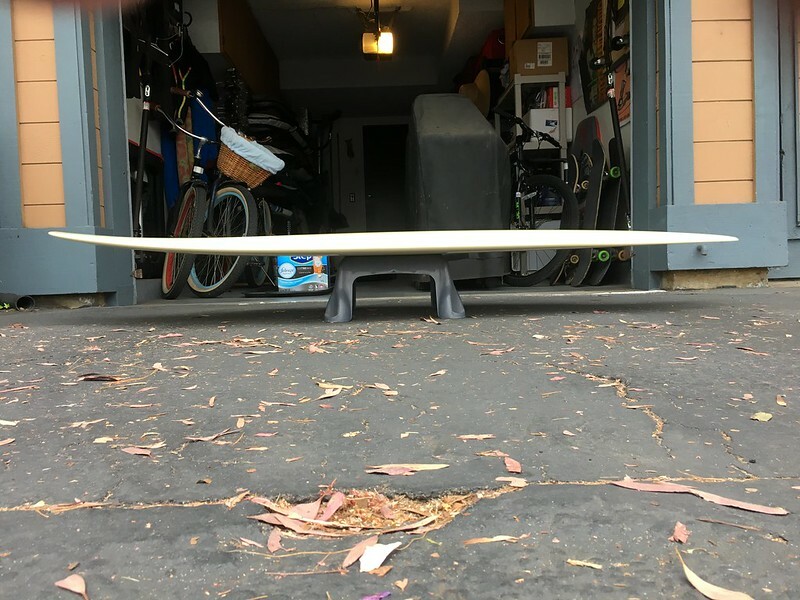 Discussion in 'Longboard Surf Buy/Sell/Trade' started by shawnzee, Jul 3, 2018. 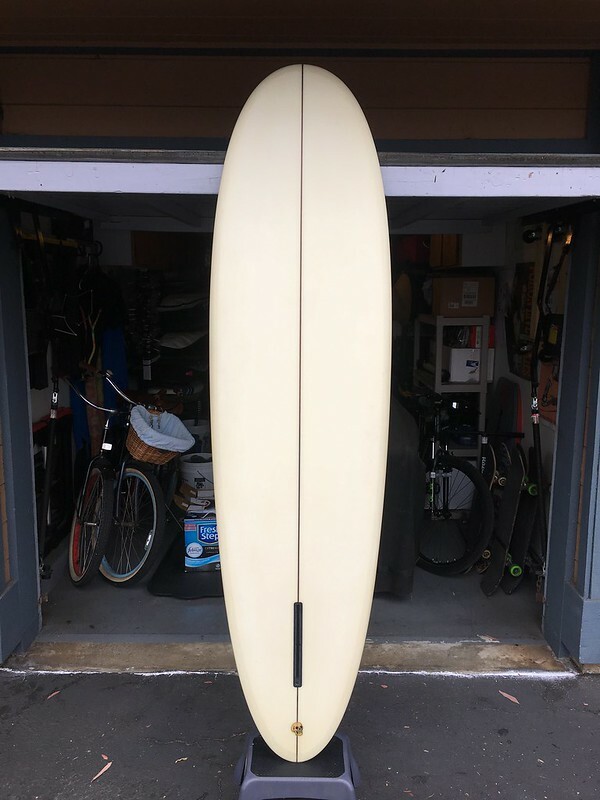 It's not easy to put a beautiful board up for sale when you don't want to. But times are tight and reality doesn't care about emotional attachment. I convinced Nick to sell me this Type 1 Hull a few months ago and am ashamed to say it's unridden. This is an outstanding example of craftmanship: ISO resin, flatweave volan, classic hull outline and only the smoothest contours, accompanied by the custom Sunrise Boardworks Type 1 fin at 9.25in. the lam is even decked out in glitter gold. kclibman, shadydave and JMJackFish like this. Bummer to hear about your situation, but first things first. You're welcome to ride my v-bottom or other boards in the meantime. I'll post it up on the GFC account. Shawn, sorry to hear about the rough patch. I hope this sells quickly to make the pain easier to bear. 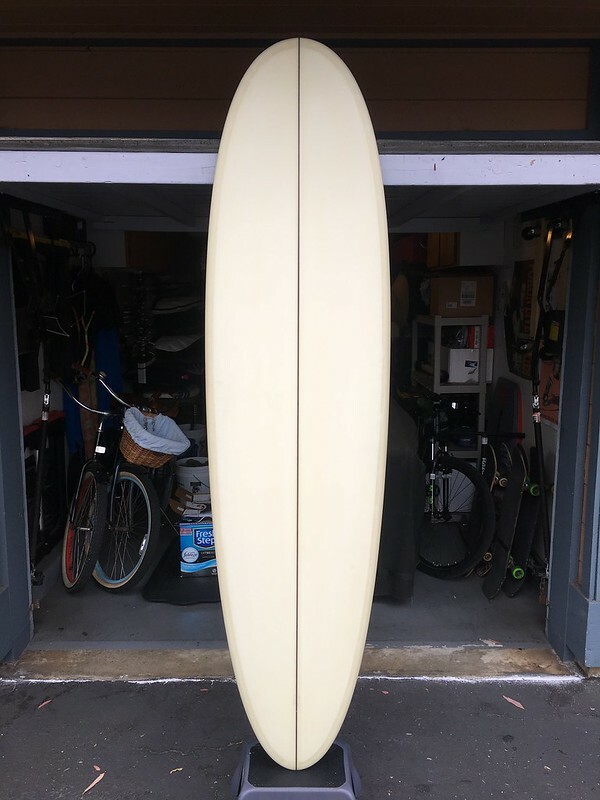 I had a chance to fondle one of Nicks boards the other day (stringers). Legit hull + off the hook craftsmanship! Honestly giving some thought to dumping something to tap this. Human and JMJackFish like this. thank you nick. really appreciate the consideration and the help. you're a top notch human! Of the top of my head, I think that board was 18 3/4 x 22 1/4 x 15 1/4 (?). I am not 100% on the tail width. Thickness should be around 2 5/8. Thanks for the kind words everyone. Boards come and go. Stoked to be able to help. I am truly sorry youre going thru..been thru it myself...recently..but it does get better..
And if i can help move this fine bkard you and it helps...itll do it gladly..